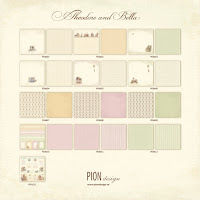 Today I am sharing this feminine card that combines two amazing Pion Design collections, "Theodore & Bella" and "Where the Roses Grow". I never get tired of playing mix and match with these gorgeous papers! Well my world is completely covered in white again. 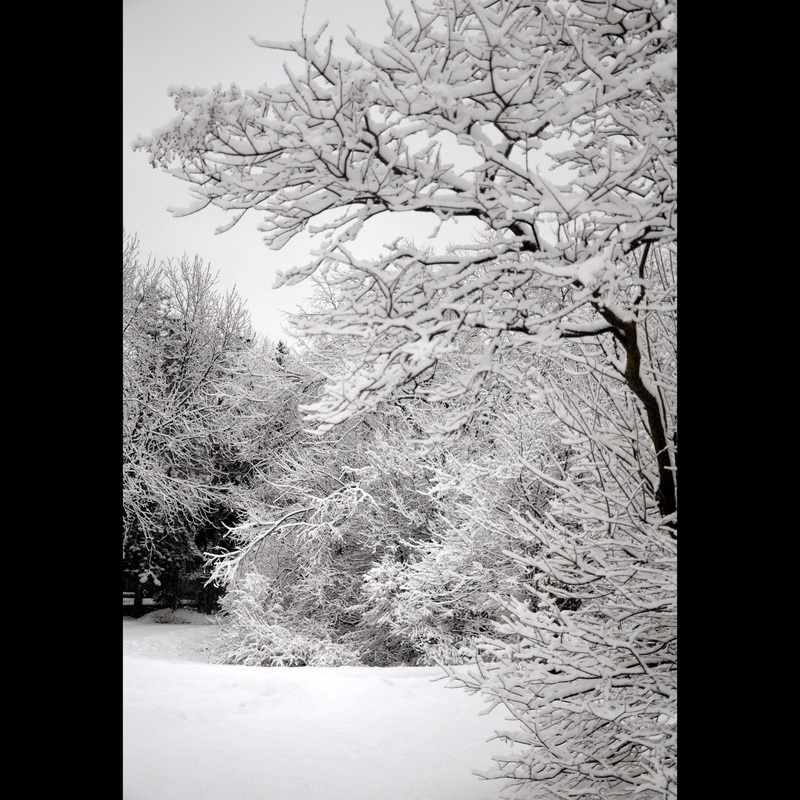 We officially have more snow now than we have had all stinking winter, go figure. I have mixed emotions because on one hand I love the snow!! But on the other hand, I worry so much for my squirrels. 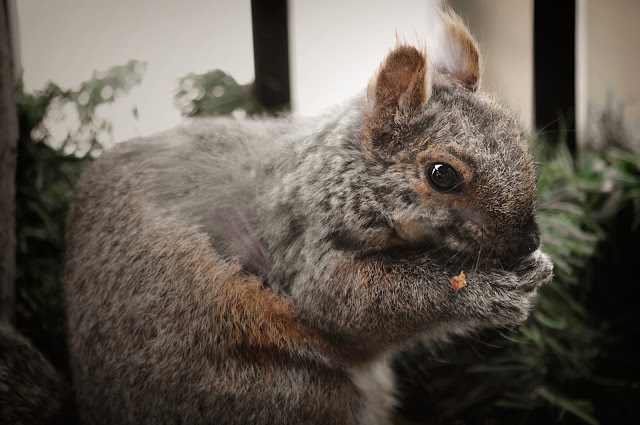 "I'm grateful for the peanut, I really am, but must you watch me eat!!" "I'm begging you lady, take town your Christmas tree lights! It's March already!" "Tell me the truth woman, are you responsible for all this snow? I heard you wishing for it!!" "Well this is NOT how I wanted to spend my weekend!" Instead of my macro today, I wanted to share a photo to help explain why I am so worried about my squirrels. Most have them have moulted a lot of their fur and are now completely exposed with bare skin showing. This is my sweet MARCIA how she looked last week, before the temperatures plummeted. She's lost even more fur since then... I don't think any of us would fare very well outside with nothing but a bathing suit on!! Be safe my little friends!! The card ius stunning so so right for the time and roses-everything goes together so well. 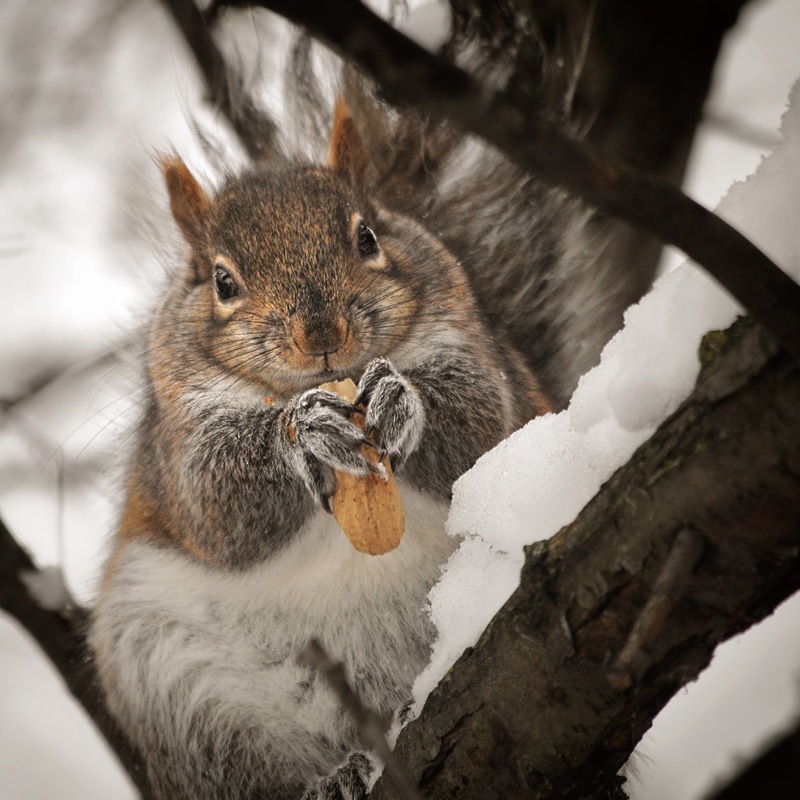 Great photographs as always but sad to hear about the squirrels. We used to live near to an allotment and the hens used to have bare patches in about the same place and a farmer told us it was because they were mating. Won't go into more details but maybe squirrels are the same. Oh, this card is so very beautiful, Pamellia! 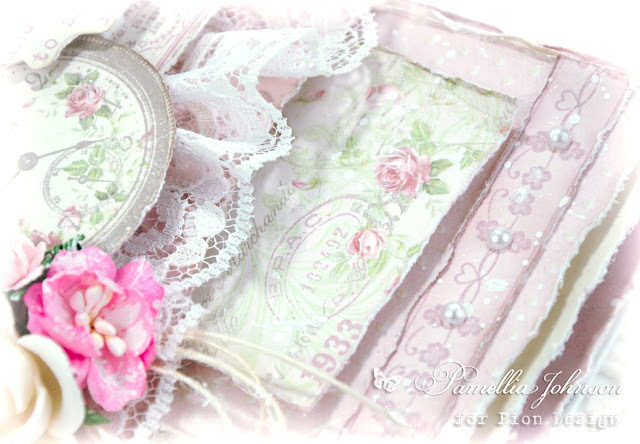 Love the little tags tucked in and the piece of lace. We got about 6 inches of snow and then got hit with an ice storm to finish things off! Needless to say, the snow has an ice skating rink on top! Hopefully, the furry critters will be fine and adapt to the change. Gorgeous card as always, Pamillia! I understand your concern about the not-so-furry babies. However some may be little mommas & are lining their nests with their fur. It's about time to fill the nurseries & Nature seems to take care of things. Best regards. 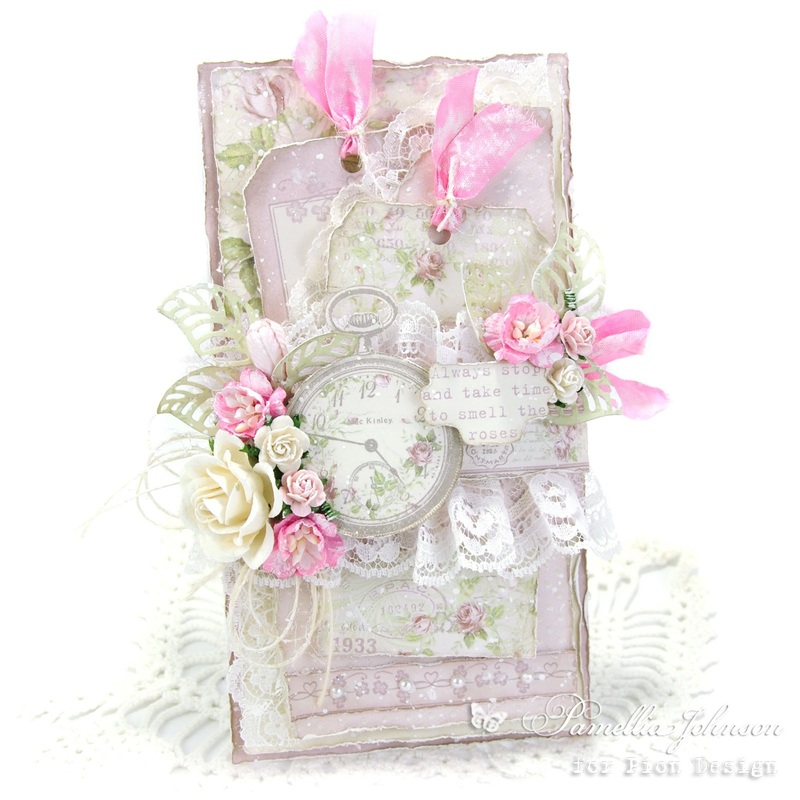 Fabulous card, so feminine and pretty with the lovely roses, lace and splashes of sugar pink! Wow...you certainly got the snow...if a little later than you would have chosen! 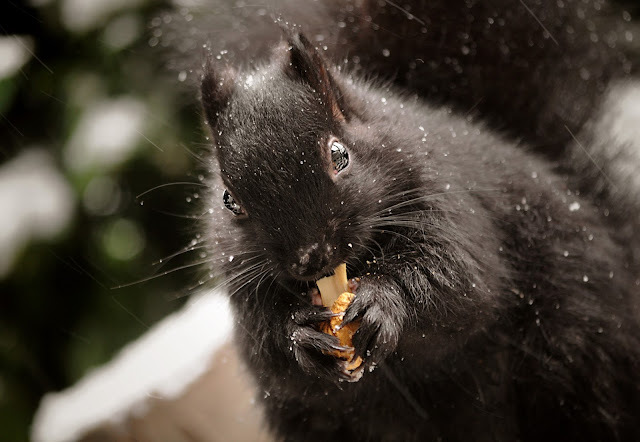 Try not to worry too much about your squirrels, they're tough little creatures with a strong survival instinct, they'll be extra grateful for the food though! SUPERSweet!!! 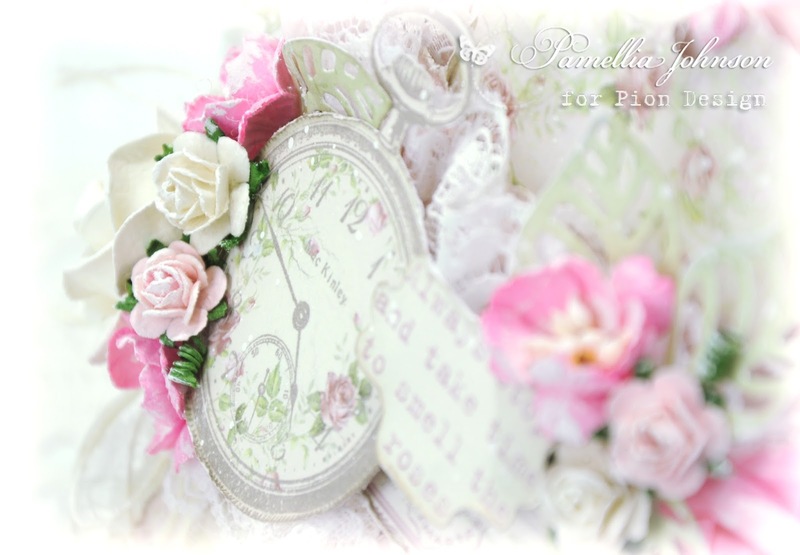 Love the adorable design with the tags, the clock and the lovely lace! Fantastic delicate colours and love so much the sentiment cut out as cloud! It's a fab detail, so clever!!! How many snow again!!! Oh my!! All is covered! Fabulous landscape shots! Love so much the photo of Tubby Tessa, such a sweet cutie she is! 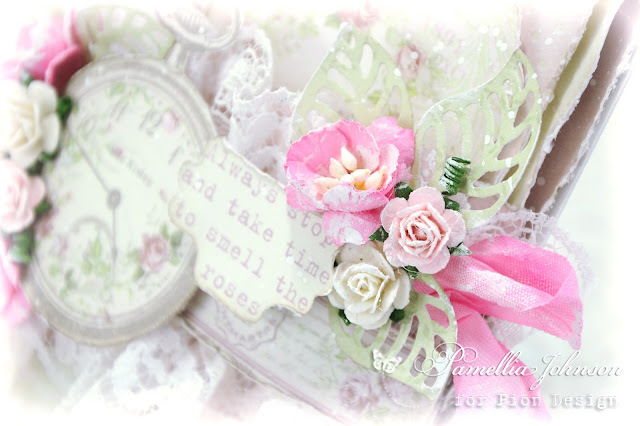 Gorgeous card Pamellia..love the tags in the background and the ruffled lace with the pink flowers and bows..so pretty..hope your little Squirrels stay safe and I'm sure they will curl up and keep warm..
another super and wonderful creation. It's really stunning your superb design, and those papers used are so very pretty. Love the wonderful femine elements, and flowers too. Oh your por,poor furry friends my heart goes out to them, and I do hope they find somewhere warm to help them survuve this nasty weather. 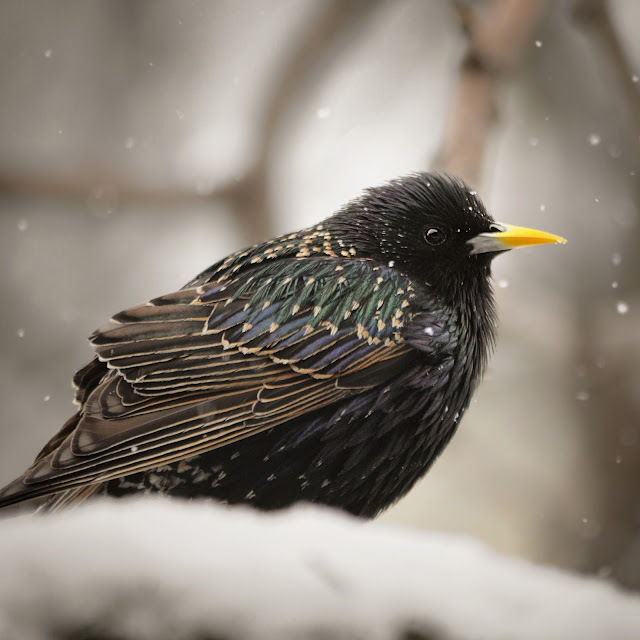 Love, Love, the bird photos as they are so very beautiful, and wonderfully photographed. Apart from books I don't think I have seen birds so close up before. So thank you so much for taking the time to photograph them. 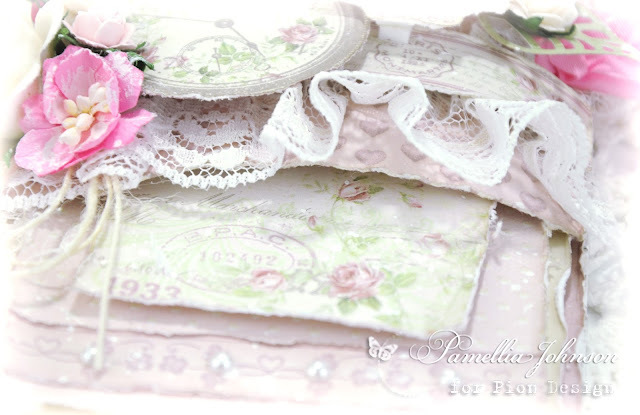 Absolutely stunning Pamellia, so much detail to look at, lovely papers and your layers are marvellous. 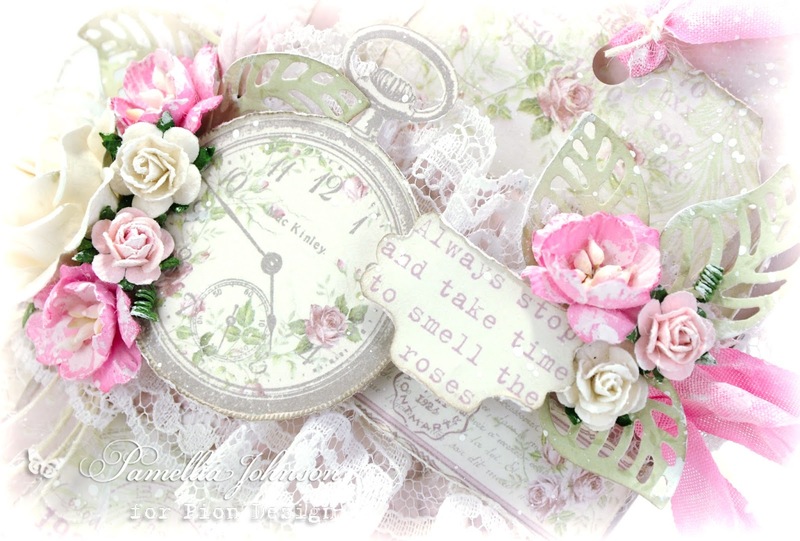 Oh Wow, you share a gorgeous card each time, this one is awesome, feminine and romantic to look at. It must be a worry when you care so much about the well being of your squirrels, lets hope they have a dry place to get out of the cold and snow. Such a pretty and delicate card Pamellia. Super gorgeous as always. 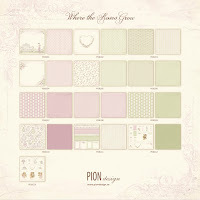 Pion really do some gorgeous papers and you always use them so beautifully. I love your layers on this card, with the beautiful tags and that wonderful watch face and the lovely sentiment (which is perfect for you!). Your white world looks so pretty and peaceful ... Good job you are there to care for the animals ... Amazing photos and your card ... Oh my that pink is delicious and so beautifully done! BEAUTIFUL and best of all - this card could be used for almost anything. Cards like that are hard to find. It's truly PERFECT. Oh dear... thank the Lord for you Pamellia because it may be only your caring generosity that saves your sweet family during this snow. How sad that they have already lost some fur... bless their hearts. I'm also very glad you still have the lights up because they could be a beacon to help them find their way to you in the bad weather times. Wonderful photos. Xj. See... your frilly-girly card get my heart swooning, and then you hook me with your "pets". I know how you feel, but fear not: they still know the way to their leafy burrows... excellent pictures. 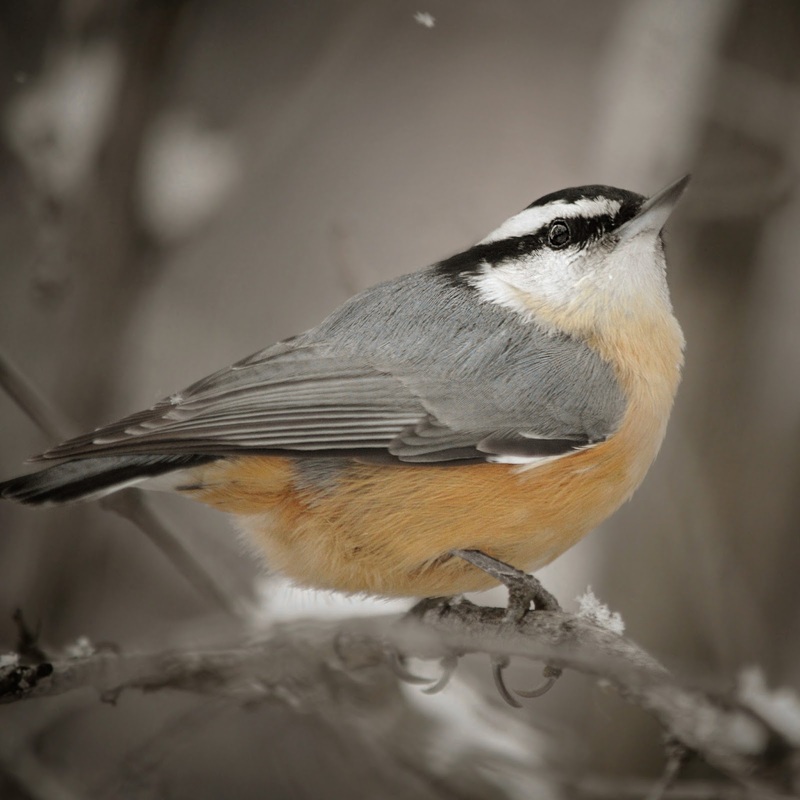 I love all nuthatches! 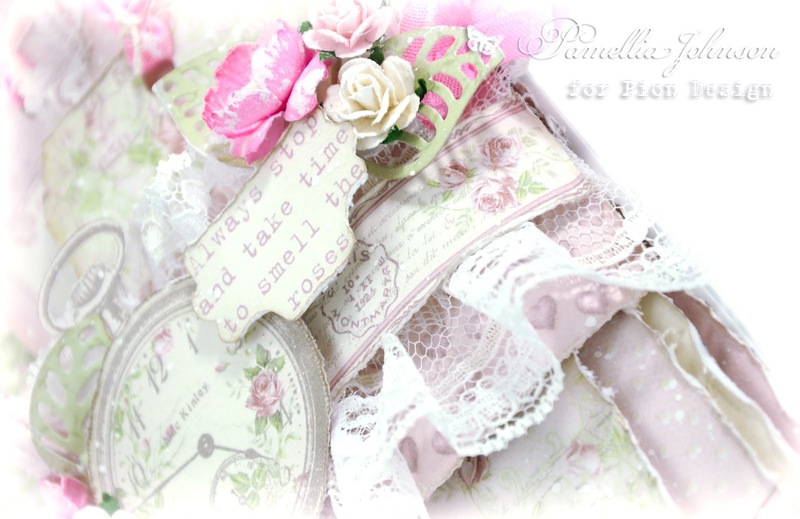 A wonderful card Pamellia and just gorgeous photography ! I am always thrilled about your art and photos! Hope that snow melts soon! Lovely card, Pamellia, in some of my favorite colors, at least at your hands. I still can't do pink; always comes out looking grungy! I was amazed to read that you used the T and B papers along with the WTRG collection--how versatile! Love your layers, lace, pearls and flowers! And those little snippets of pink ribbon--breathtaking is what it is! You are so talented! Love seeing your snowy shots, but sad to see the squirrels molting (or do they shed?) before winter is truly over. I think they will be fine in their nests cozied up with one another. With just a few weeks until Azalea festival, most of this area's azaleas are now brown...so sad! It just wasn't worth it for the tiny bit of snow we did get. As always, I love to see your photography! Can't wait for your next post already! Sending hugs! Fabulous card Pamellia. Lots and lots of beautiful layers and gorgeous lace and roses. It is a real masterpiece. 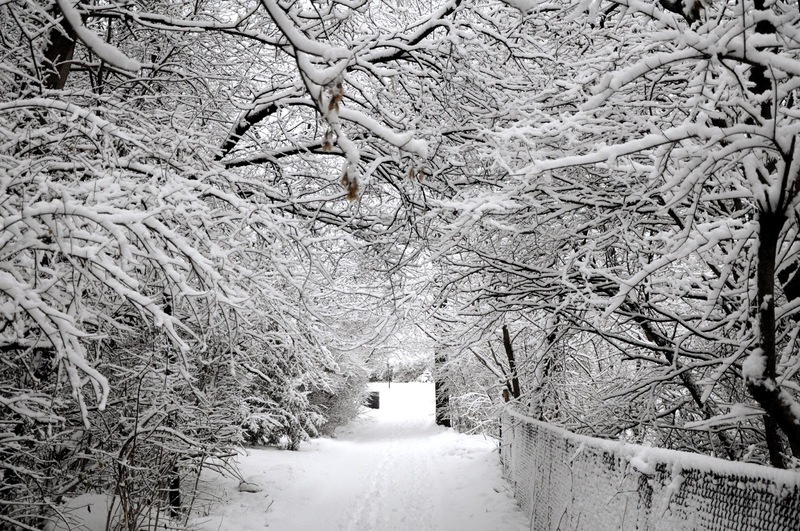 Staggering snow shots today, the countryside looks amazing. 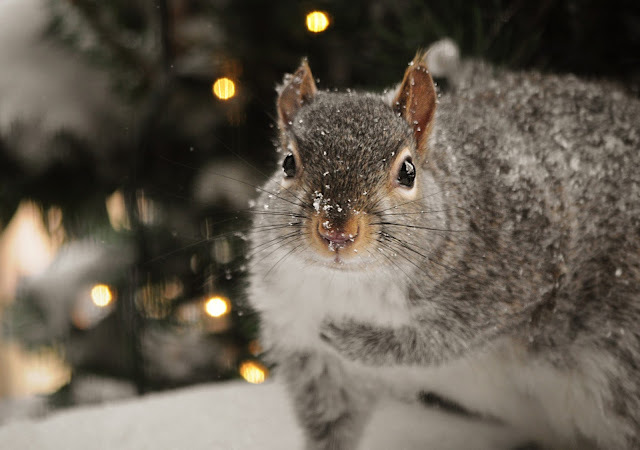 Poor squirrels though, is it is unusual for your part of the world to have snow so late in the year? Thanks so much Dionne. Actually it's really not unusual. We normally have snow well into April, but this year and last year have been extremely mild and lacking in the snow department. The flower nurseries here don't even open until the end of May!! This is what I love about blogging, you find out so much about other people and their homes. Nurseries here never close - although they have become leading authories on Christmas decorations and tea rooms (I guess they have to make ends meet when the rest of us are not gardening). 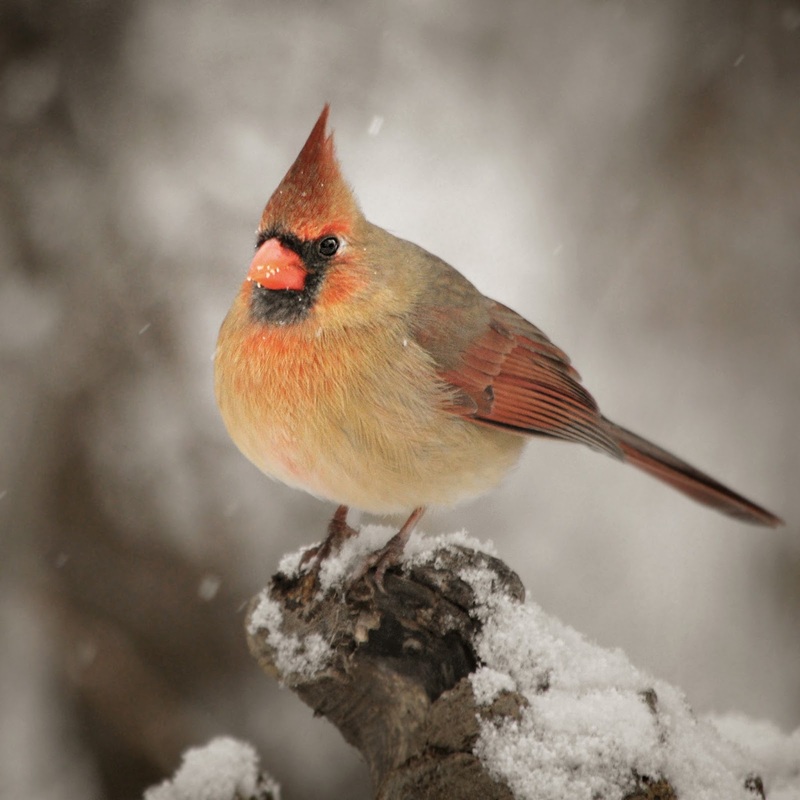 Such a contrast between your delightful springtime tag and those wintry blizzard conditions. 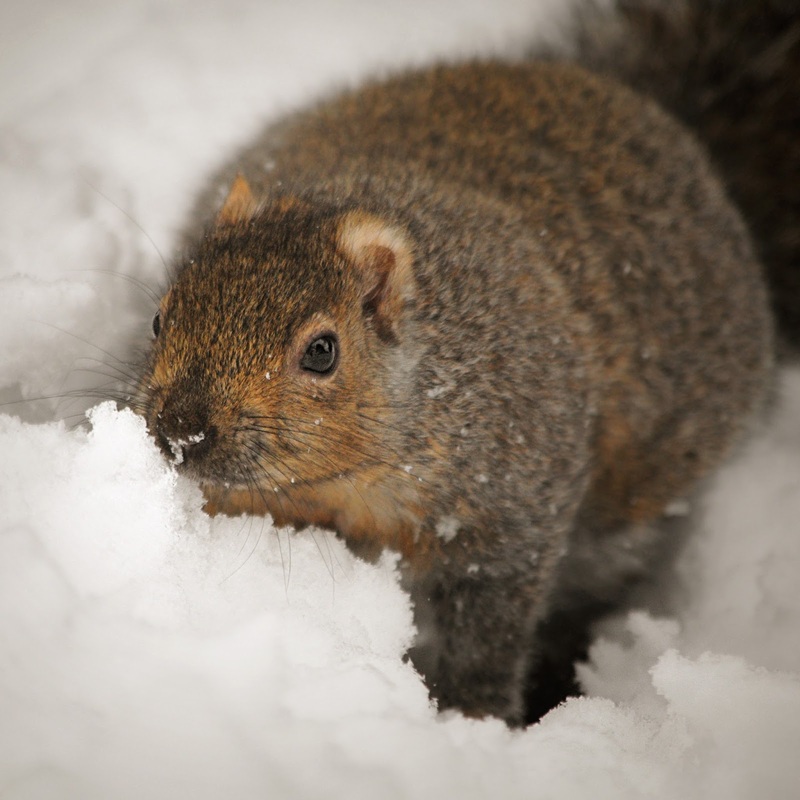 I can see why you're worried about the moulting squirrels - such a late snowfall is hard on animals and plants alike. Hello, Pamellia! 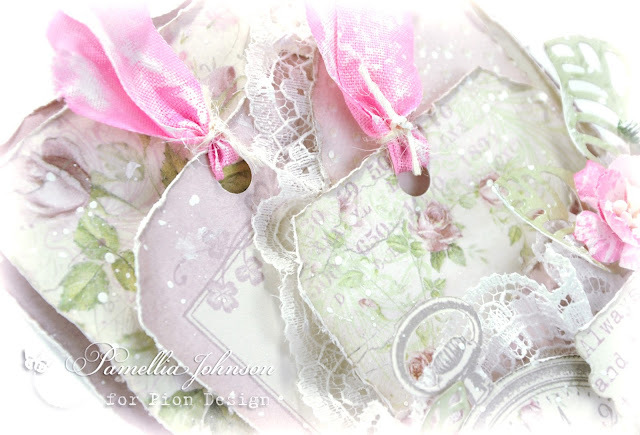 Lovely card today, especially with the amazing layers, tags, and pretty, delicate laces. I hear ya about the animals losing their winter coats early. Even in Florida that has happened, and then we had 2 nights of below freezing temps last week. You know they are all cold! Our cat has already shed her coat as well, and does not tolerate the cooler temps right now. Many of our farmers lost crops, and lots of the orange trees were already blooming and the blooms were harmed with the frost. Whacky weather! You are such a sweet protector of your little furry friends Pamellia! Your posts warm my heart so -don't ever change! Your card is simply beautiful, so old fashioned feeling! I so love your style Pamellia, another beautiful creation and thanks for the gorgeous photos like always!